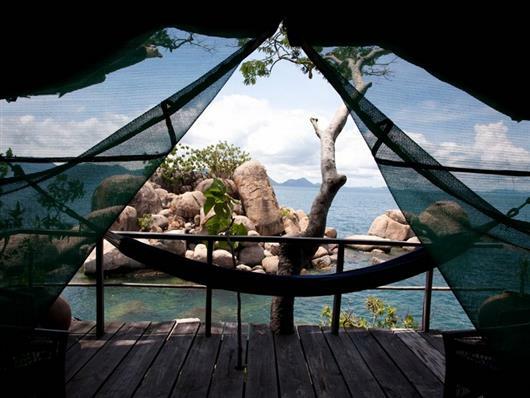 Mumbo Island Camp is named after the tropical island on which it is built. The crystal-clear, warm waters of Lake Malawi National Park boast some 2000 species. 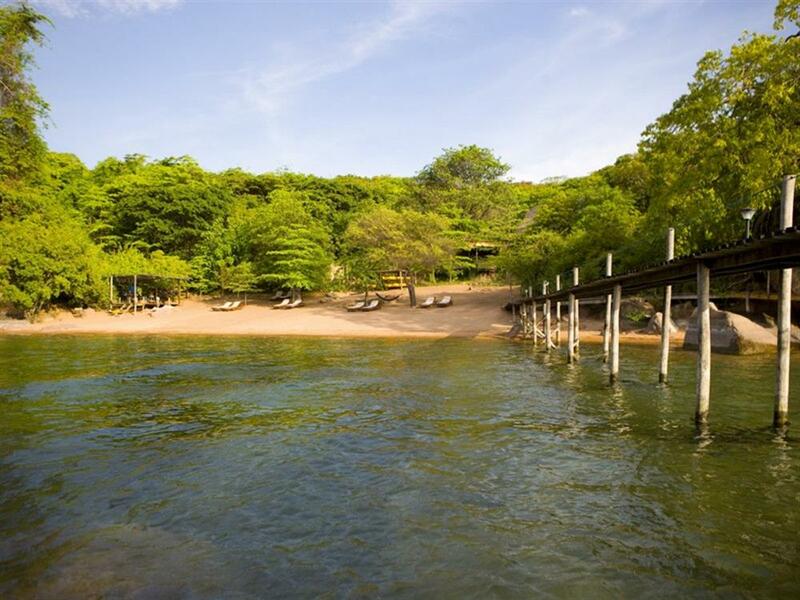 It's no wonder this region of Lake Malawi is often considered the best freshwater diving and snorkelling location on the planet. Accommodation is in tastefully furnished, comfortable tents with hotwater bucket showers and 'eco-loos'. 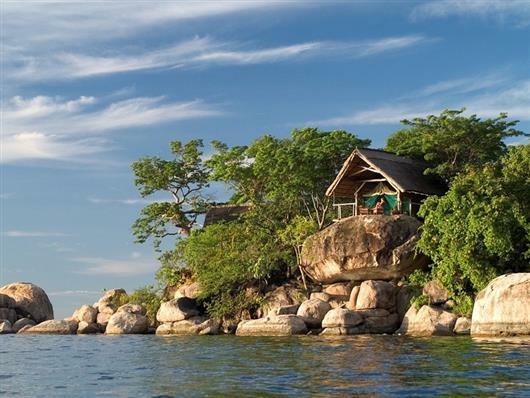 With an exclusive limit of only 14 guests at a time, Mumbo Island is perched on rocks high above the water - blending with the environment to create a place of rustic charm and minimal impact. Tucked into the lush foliage, each tent is fully furnished with its own shaded view-deck and hammock. 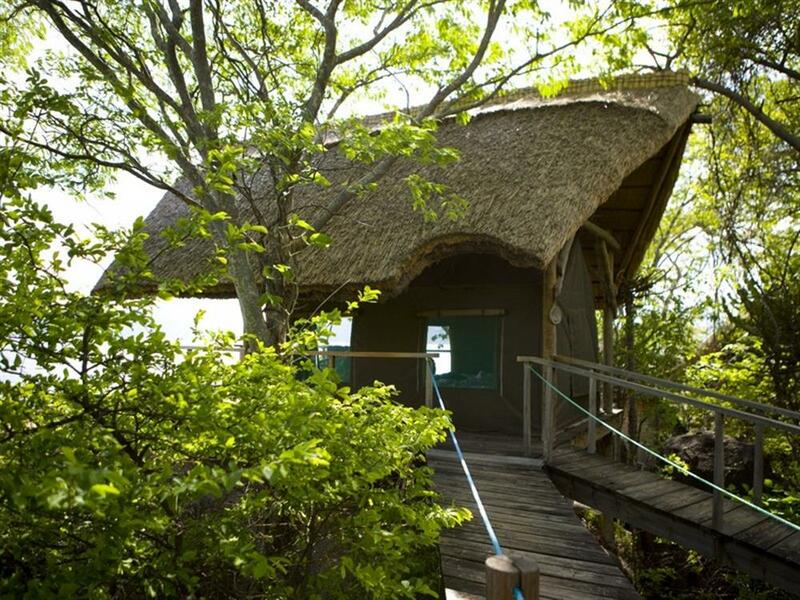 Mumbo Island Camp adheres to strict principles of eco-architecture, so the dining area, bar and water sport gazebo are all hand built from timber, thatch and canvas. Unlike most island destinations in the region, Mumbo Island has never been populated by humans and is still in its natural state. 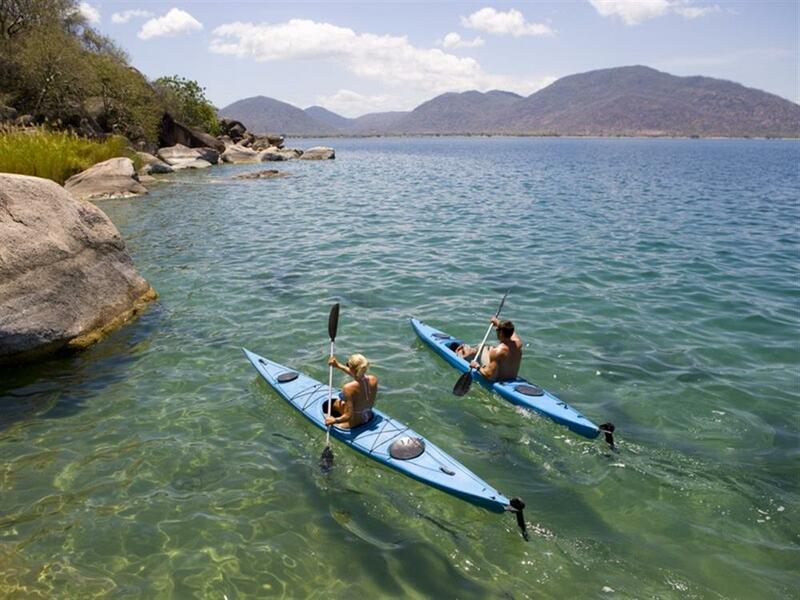 This, together with the focus on non-motorised water sports, makes the camp ideal for the active outdoors enthusiast. The most popular activities here are diving or snorkelling, or lazing in a hammock in the 'chill-out' area, contemplating the scenery. 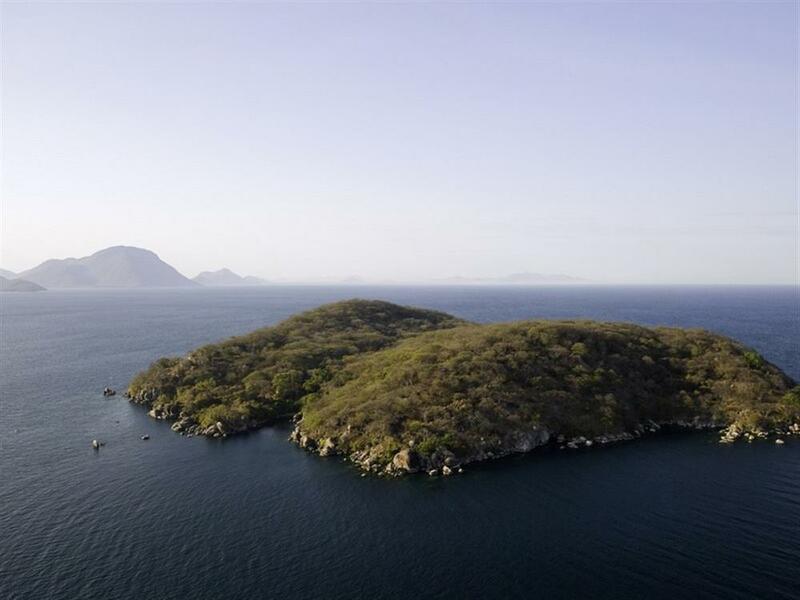 Mumbo Island Camp is a PADI registered resort offering beginner, advanced and specialty courses in scuba diving, as well as gear hire and casual dives. Swimming, kayaking, and birdwatching are also popular. For the more intrepid, there are boating and paddling options, exploring the granitic islands in a freshwater Rift Valley lake. Birders can enjoy the abundant African Fish-Eagles amongst others, and snorkellers can view enormous numbers of the cichlid fish species; these small, colourful fish have adapted to so many variations that they are considered of comparable importance to the Galapagos finches in the study of evolution.